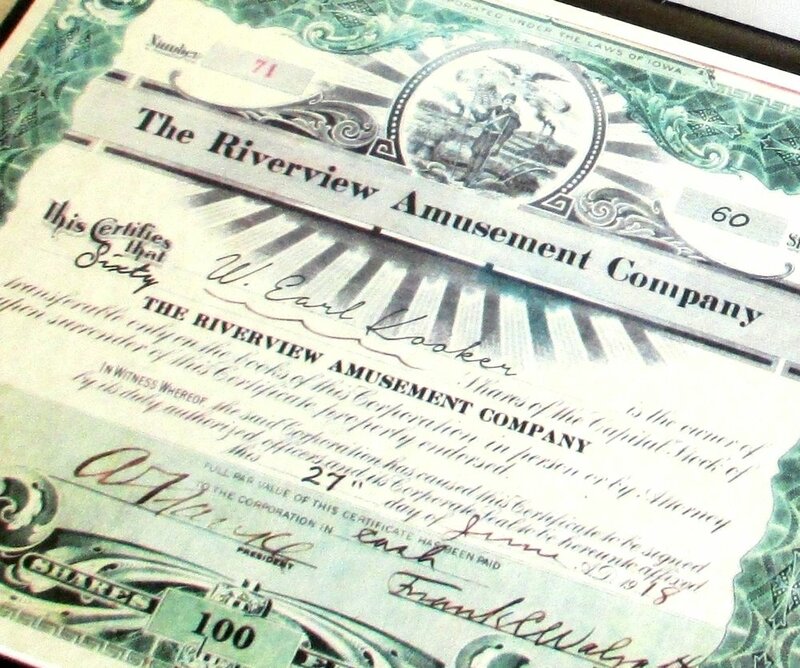 This stock certificate is a duplicate of an original one issued in 1918 by the Riverview Amusement Company to W. Earl Kooker, one of Riverview Amusement Park's owners. It has the signature of Abe Frankle, the founder of Riverview. The 9" x 11.5" Black Folding Cover that is included is the perfect way to present the stock certificate, and to keep it clean and safe. This padded Stock Cover features satin ribbon corners to hold the 8.5" x 11" certificate.